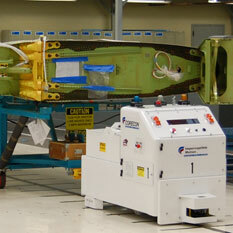 In Aerospace the parts we handle are large and fragile which is perfect for an AGV. 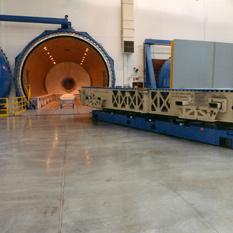 The pictured system is used in aircraft tail section production. The AGV picked up the product and delivered it to an autoclave for processing. After the autoclave the tail section is picked up and transported to an adjoining building.